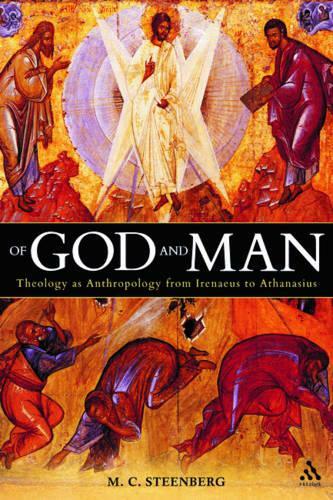 Building upon current scholarship, this volume re-asseses approaches to early patristic studies through a sustained investigation of anthropology and theology as a single project in the fathers.Scholarship in early Christianity has long focused on themes of theological doctrine on the one hand, and anthropology on the other. Doctrinal study has generally concentrated on the rise of Trinitarian language and Christological questions, while anthropological studies explore early perceptions of human nature, sin and redemption. This has produced standard chronologies of doctrine, dividing early Christian history into distinct, if interrelated periods of history in the development of these views.Building on current scholarship, this volume re-assesses such an approach to early patristic study through a sustained investigation of anthropology and theology as a single project in the fathers. Taking Irenaeus of Lyons, Tertullian of Carthage, Cyril of Jerusalem and Athanasius of Alexandria as chief examples of the period, it explores how concentration on the human provides the context and lens through which doctrinal questions are articulated. Assessing theology as anthropology - as the approach to doctrines of God through understandings of the human - creative insight is gleaned into refined developments of trinitiarian thought far earlier than Nicaea, and advanced reflections on the divinity of the Holy Spirit long before Constantinople. The nature of humanity as 'in the image of God' takes on a fresh potency when it is approached not only as a window on the human, but the means by which the human reveals the nature of God.